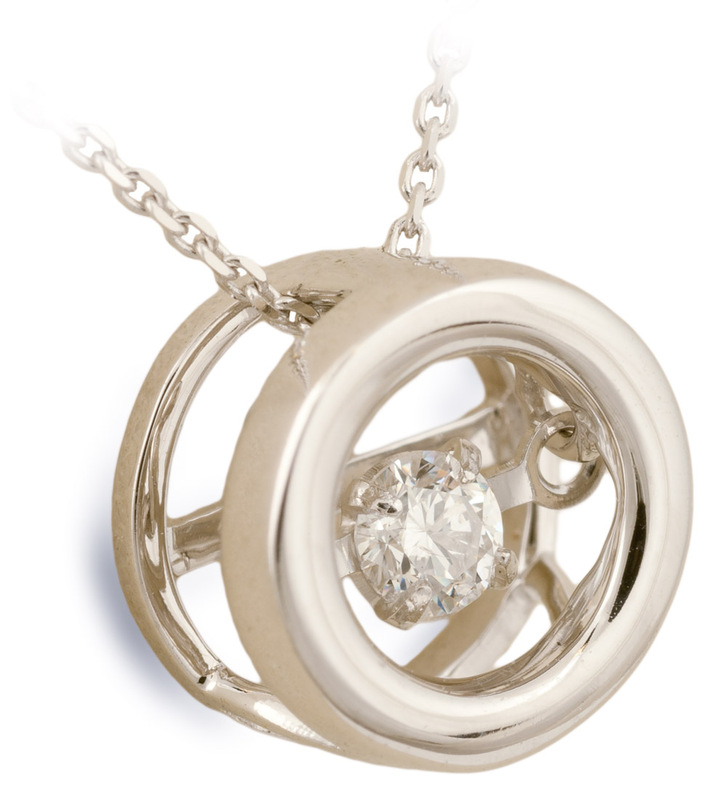 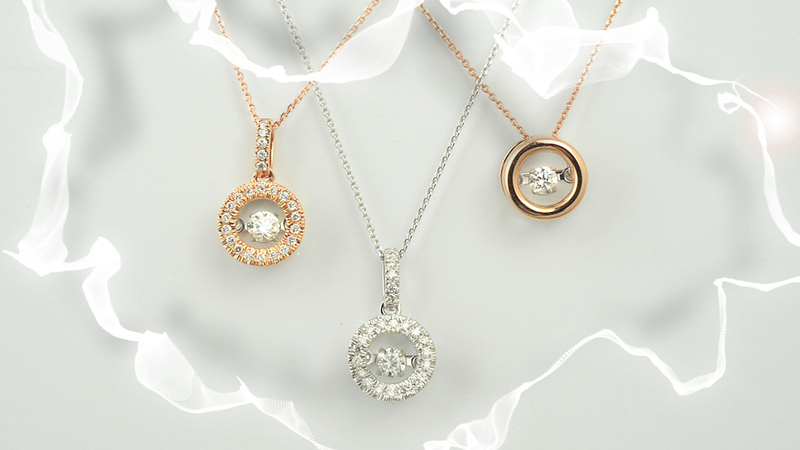 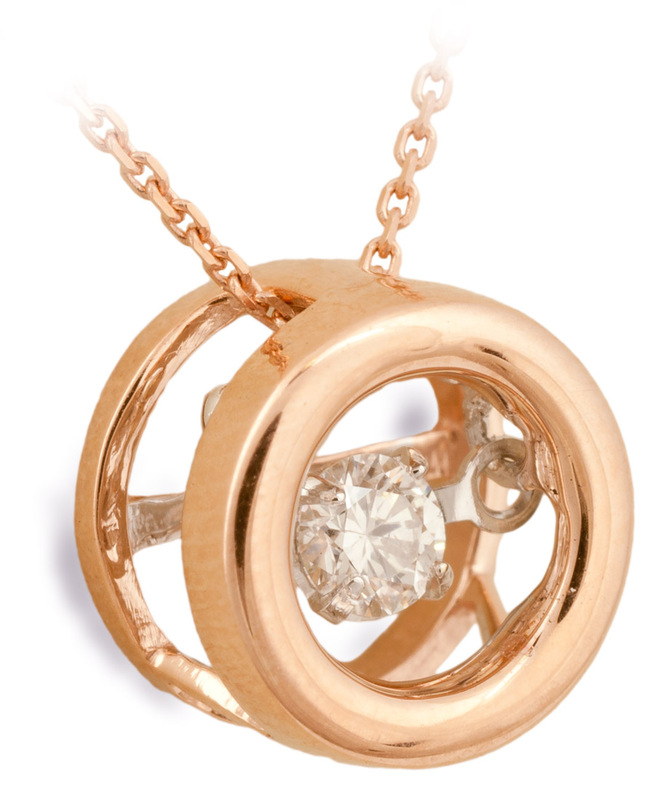 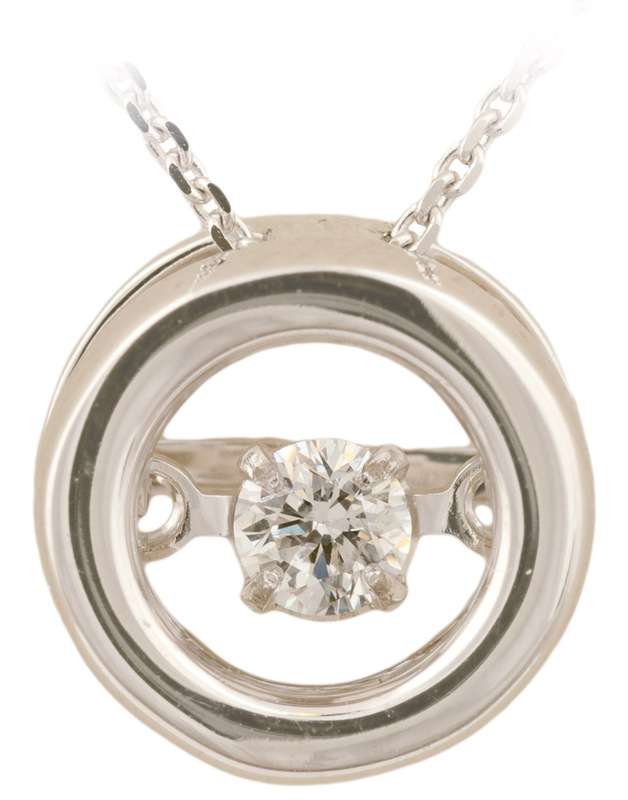 A modern version of the traditional circle pendant. 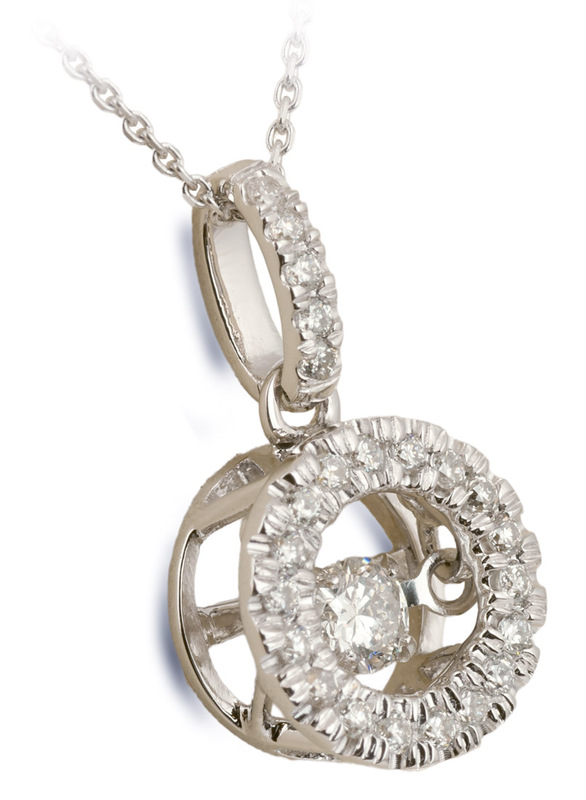 The center diamond is set in a unique way that causes it to dance and shimmer at the slightest movement. 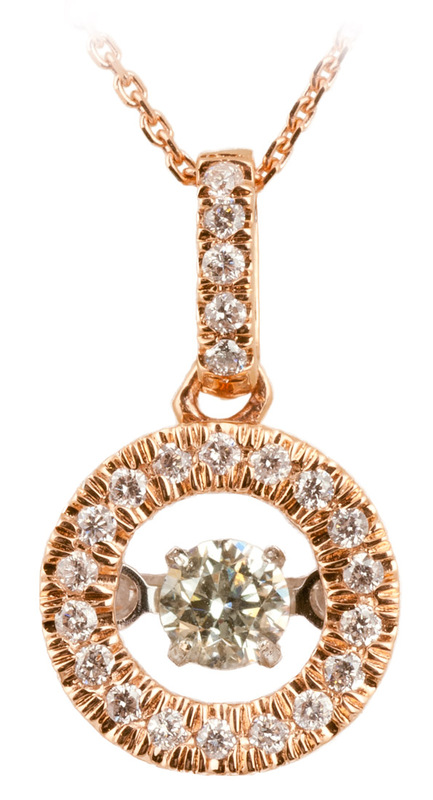 Even your breath and heartbeat are enough to make the diamond move. 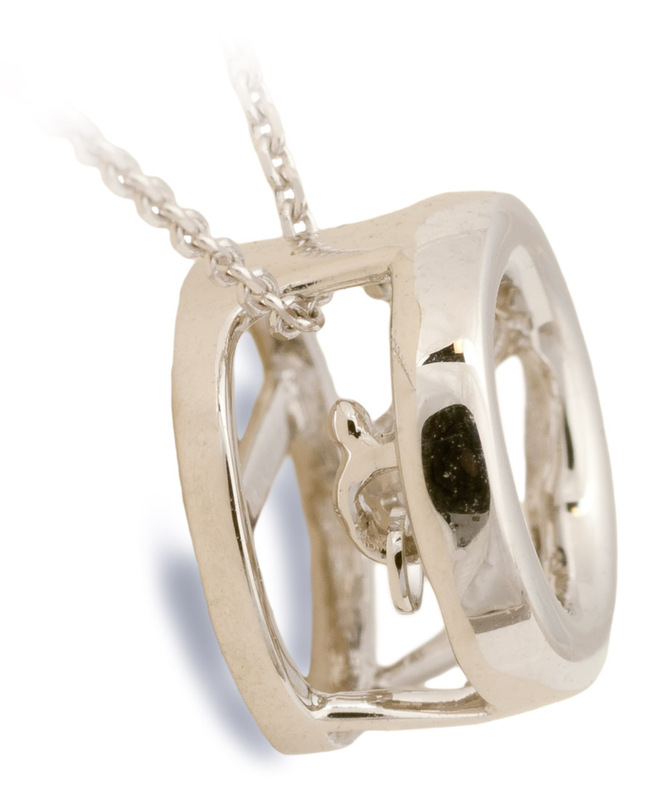 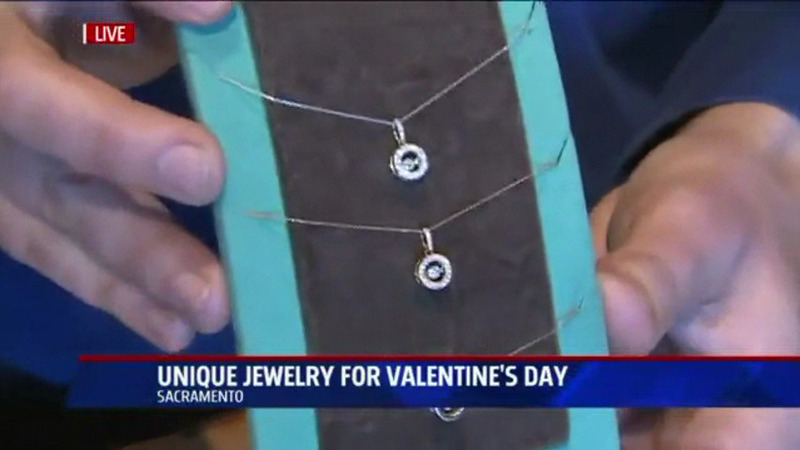 It is a truly beautiful and simple piece, and it makes a great gift.